The high tensile strength of the material helps to endure high amount of tensile stress and prevent the failure caused by heavy load. Owing the magnitude of the tensile strength in the material sustainability, we have adopted the PVC/PU material in the construction of the high strength conveyor belt that shares not only the significant strength, but also delivers other unmatched perks that no other material can deliver. The high tensile strength of the PVC/PU material has made the offered conveyor belt prominent as the high strength conveyor belt in the different industries. The PVC/PU material used in the conveyor belt is mixed with the high quality additives by means of the cutting edge vulcanization machine in order to impart the extra strength, resistance and elasticity to the respective material ahead of taking into use for the composition of the high strength conveyor belt, resulted in the top notch conveyor belt that attributes excellent tensile strength, which as set up the distinctive place in the market for rendering all the benefits at the low cost, unlikely to other costlier conveyor belt alternatives. This high strength conveyor belt not only improves the withstand capability of the belt, but also help improve the overall performance of the belt under any circumstances. The entire manufacturing process of high strength conveyor belt occurs under strict adherence to the international quality standards, whereas quality testing is carried out to ensure its strength ahead of entitling for the shipment. 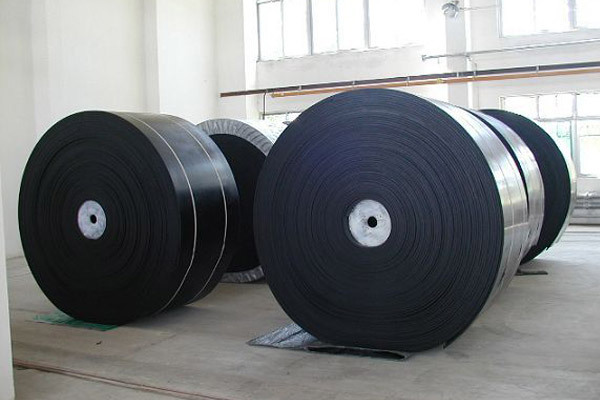 Such a high strength conveyor belts is finding their application in the heavy duty applications incorporating, Detergent, Mining, Metalworking, Tyre, Baggage Handling, Automobile Spare Parts, Cardboard, Brick, Marble, Wood conveying, and is applauded for easily carry heavy loads without failure. If you are also indulged in any of the heavy duty applications and requires high strength conveyor belt, give a try to our conveyor belt, and experience superiority. This high strength conveyor belt is available in the exhaustive array of the dimensions, made leveraging the experience of 20+ years, whilst custom made range of the same is our specialty that interested one can benefitted at the cost effective rates in the market. This conveyor belts are also available with the fusion of cleats and side walls as per the end user requirements. Both types are becoming the choice of the miscellaneous industries to flawlessly convey heavy load applications and improve the efficiency of the respective process at the best rates.